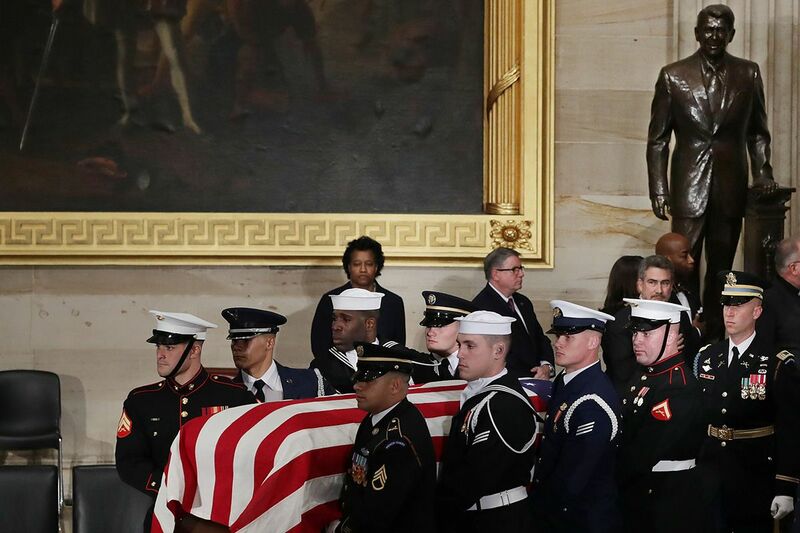 America bids its final farewell to late president George H.W. 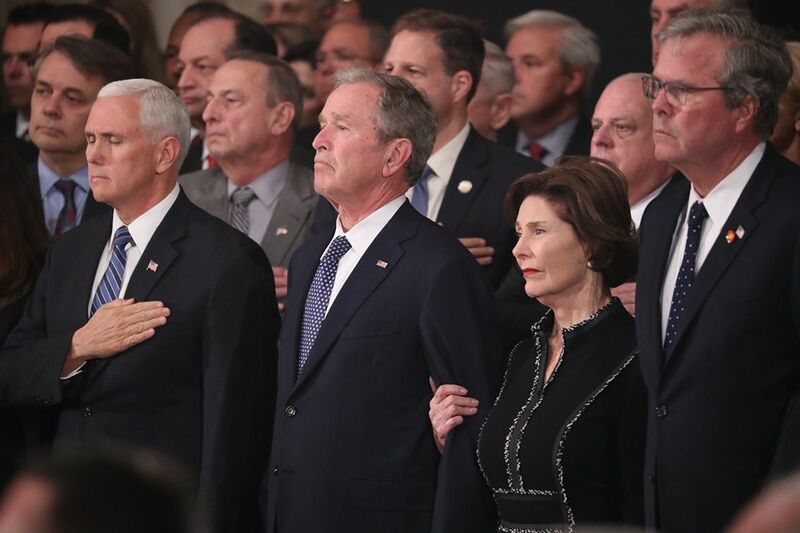 Bush in a state funeral ceremony at Washington National Cathedral on Wednesday, capping three days of remembrance. 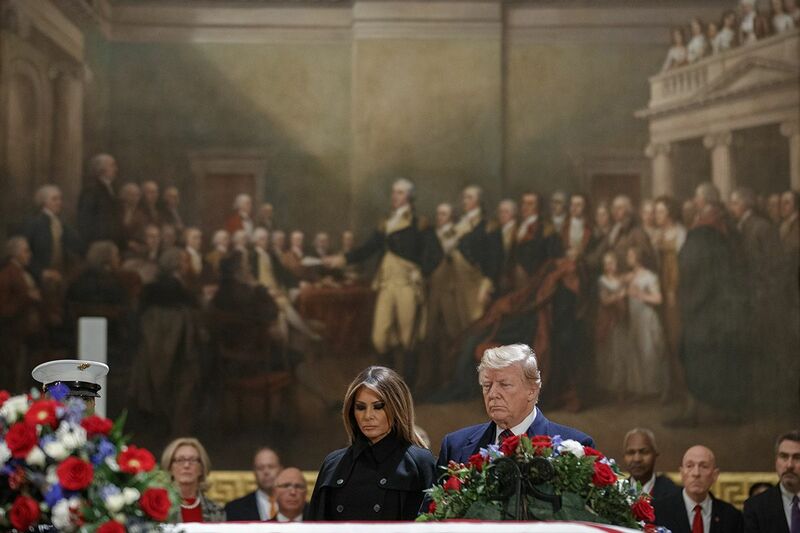 Dignitaries and ordinary citizens have paid their respects to the 41st president in the Capitol Rotunda, where his flag-draped casket has been lying in state since Monday, atop the Lincoln Catafalque—first used for Abraham Lincoln's funeral in 1865. 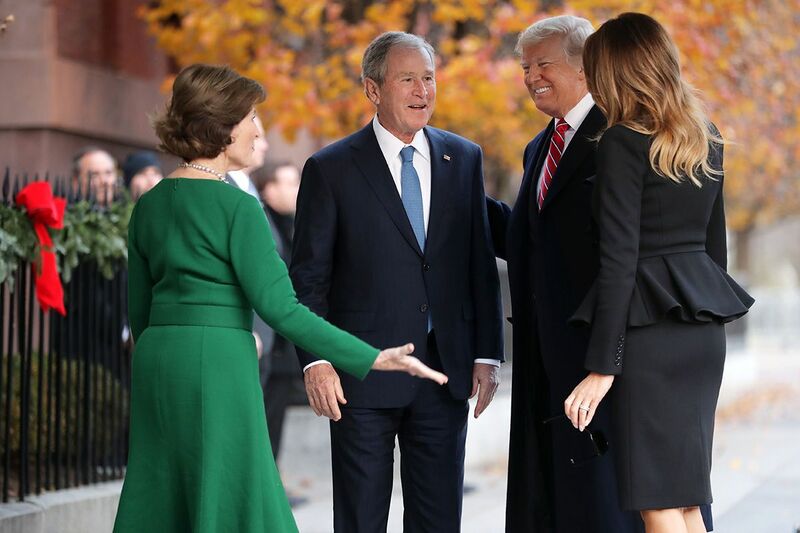 President from 1989 to 1993, Bush died at home in Houston on Friday night at the age of 94, seven months after the death of his wife Barbara. 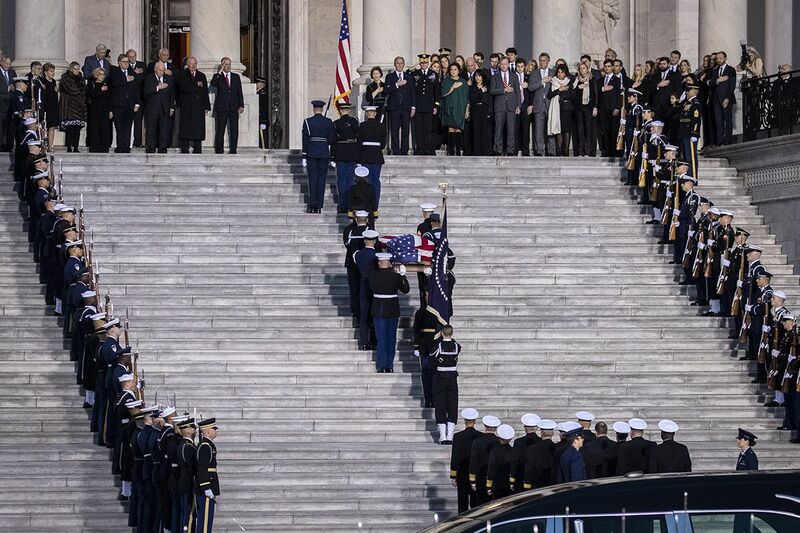 His eldest son and fellow former President, George W. Bush, accompanied his casket from Texas to Joint Base Andrews outside Washington, and then down Pennsylvania Avenue to the Capitol. 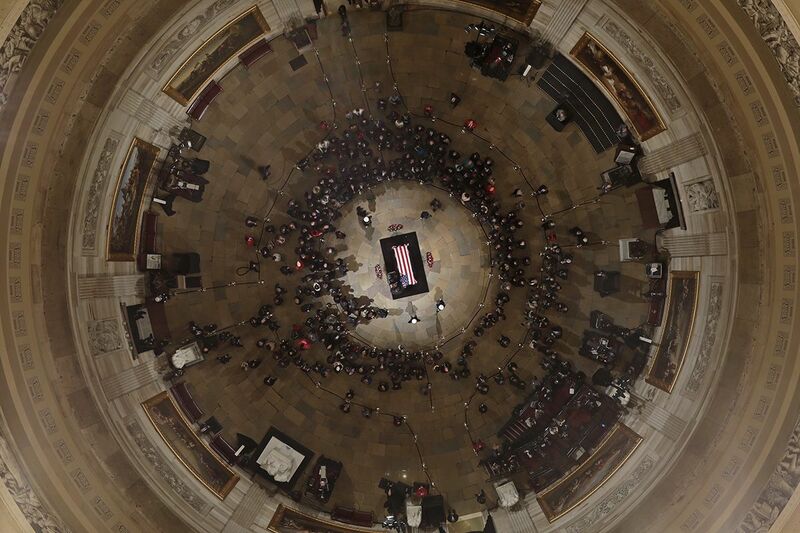 Elected officials past and present—including Mike Pence, Nancy Pelosi, Paul Ryan, Colin Powell and Condoleezza Rice—honored the former president as his casket entered the Rotunda. 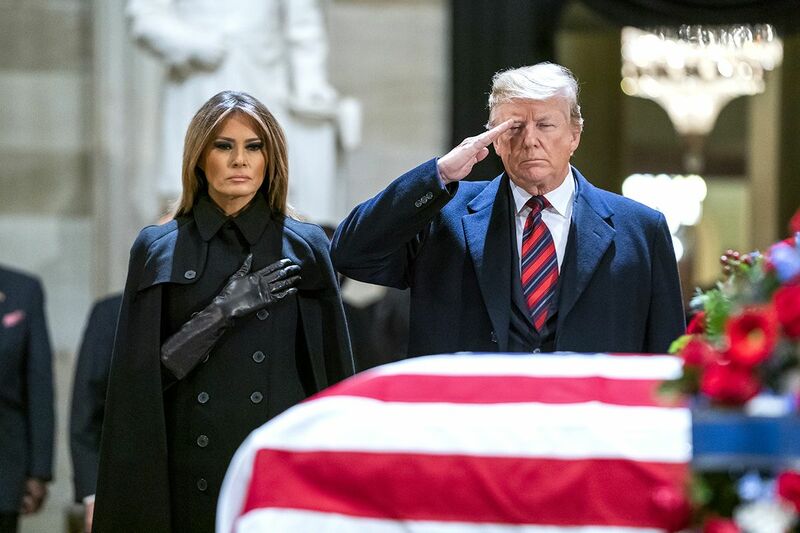 Later that evening, President Donald Trump and first lady Melania Trump arrived to pay their respects. 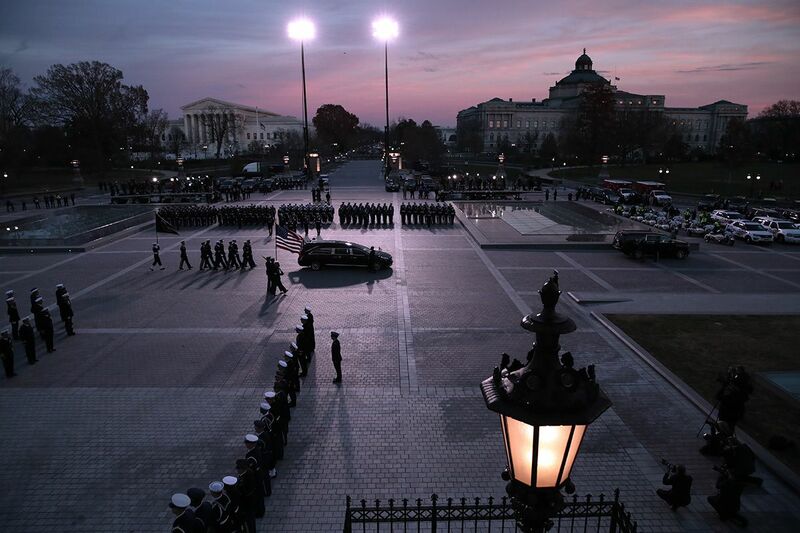 On Tuesday, members of the public, soldiers and lawmakers filed into the Rotunda to view the casket. 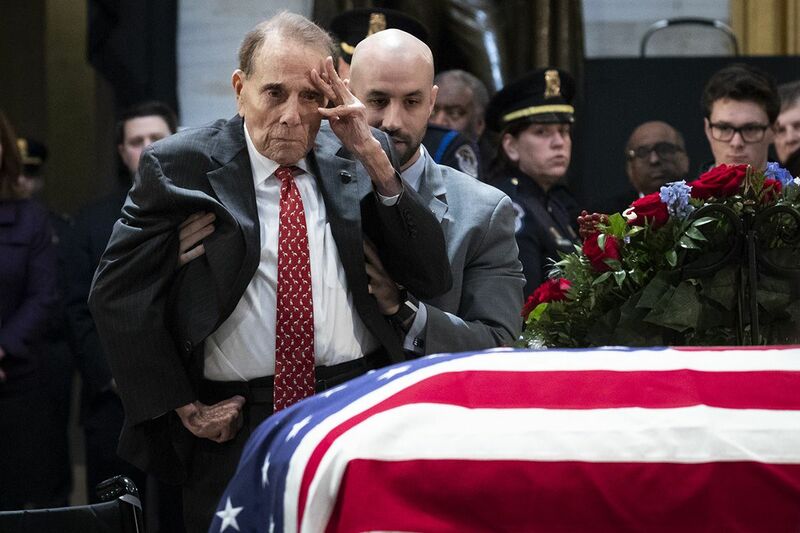 Former Senator Bob Dole, a fellow World War II veteran, was helped out of his wheelchair so he could salute his old friend and political rival. During the 1988 presidential campaign, Bush and Dole went head to head for the Republican nomination, which was won by Bush. 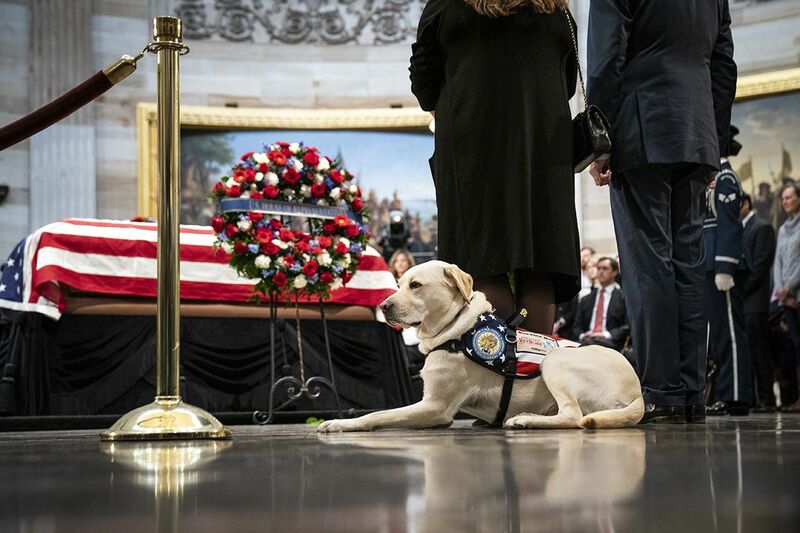 The former president's service dog, Sully, was photographed lying in front of the flag-draped casket in the Rotunda. 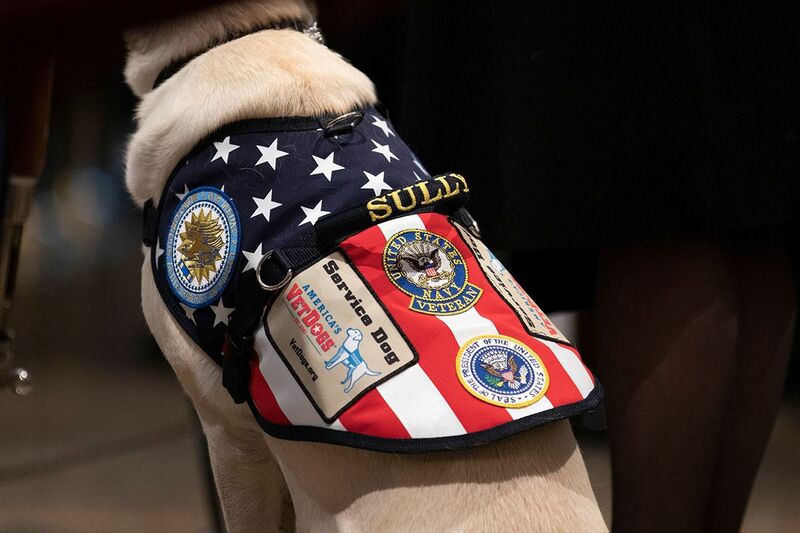 The Associated Press reports that Bush received Sully in June from America's VetDogs nonprofit organization to open doors, pick up items and summon help for the president, who had a form of Parkinson's disease. Dignitaries from around the world are expected to attend the state funeral, including Britain’s Prince Charles and former Prime Minister John Major, German Chancellor Angela Merkel, King Abdullah II and Queen Rania of Jordan, and Poland's President Andrzej Duda and former President Lech Walesa. President Trump has proclaimed Wednesday a national day of mourning. 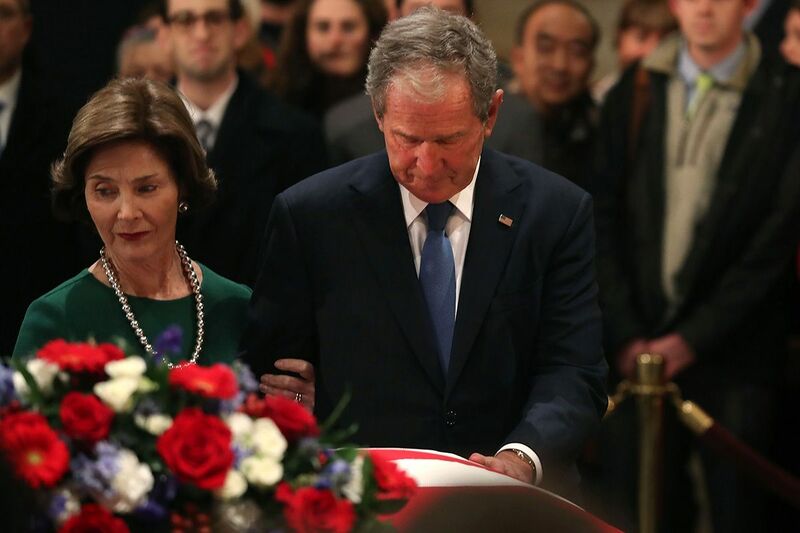 After the state funeral, Bush’s body will be flown to Houston, where he will lie in repose at St. Martin’s Episcopal Church until a more private funeral service on Thursday.